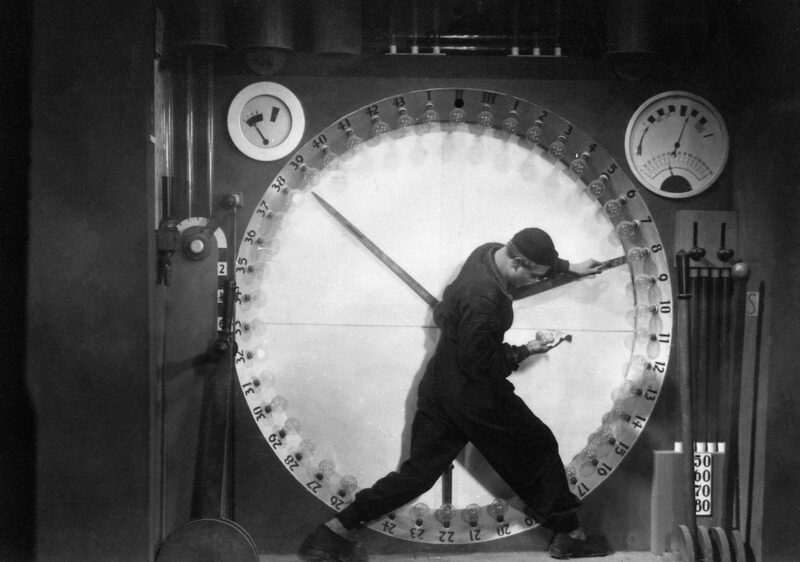 There’s a famous scene in Fritz Lang’s Metropolis (1927), in which we see one of the down-trodden underclass of the city working on a clock-like machine which resembles something out of a demonic gameshow. The chief task of the operator is apparently to move the hands in line with the flashing lightbulbs, which change every couple of seconds. It’s a powerful image, but it always struck me as a little contrived – surely you would just build a machine that could make the connections itself? Well I’ve been working in offices for the last three years, and suddenly it starts to make sense. Now I find myself imagining the poor worker knocking meekly on his manager’s door after every week of punishing shift work, and presenting him with his plan for a fully automated clock-light-bulb-thing which will leave him free to do something a little less physically exhausting. Like operate the lifts. And then I imagine his manager smiling benignly and telling him that he understands that it’s not the most efficient workflow, and they would love to take his ideas on board, but that unfortunately they don’t currently have the money to invest in all the new hardware they’d like to (like flood defences, or an M-machine that doesn’t malfunction and start chewing people up), so for the time being everyone just has to pull together and get along as best they can with the current set-up.